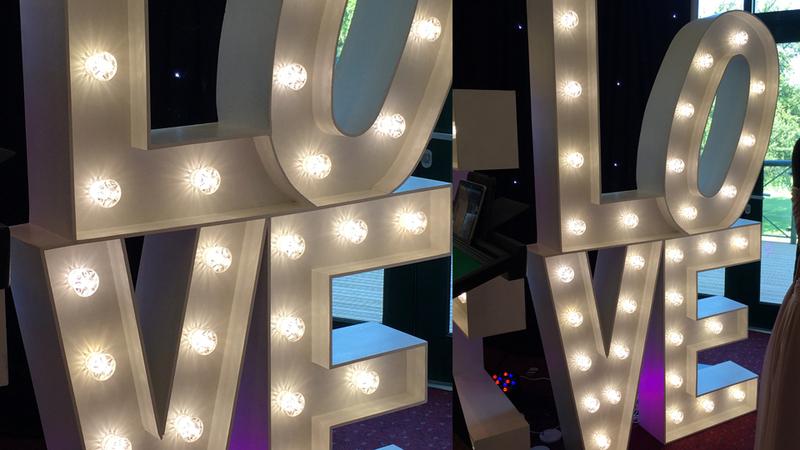 Our classic 5ft letters, with clear funfair bulbs. 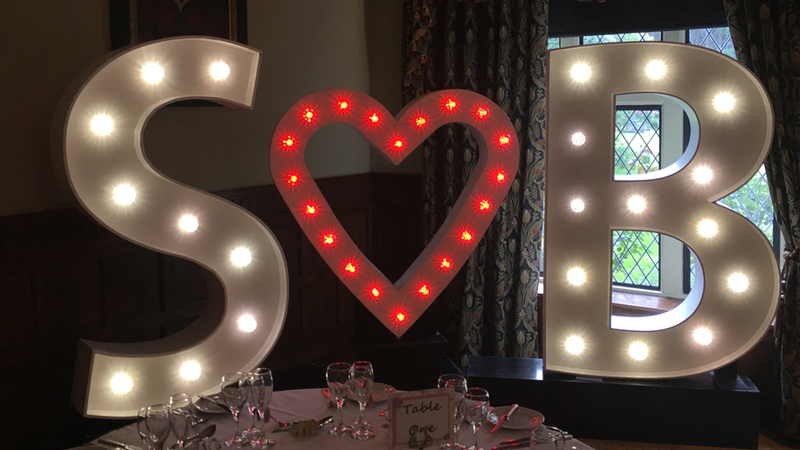 Our classic 5ft letters, with clear funfair bulbs filled with high quality silk flowers. Perfect for summer weddings and events. 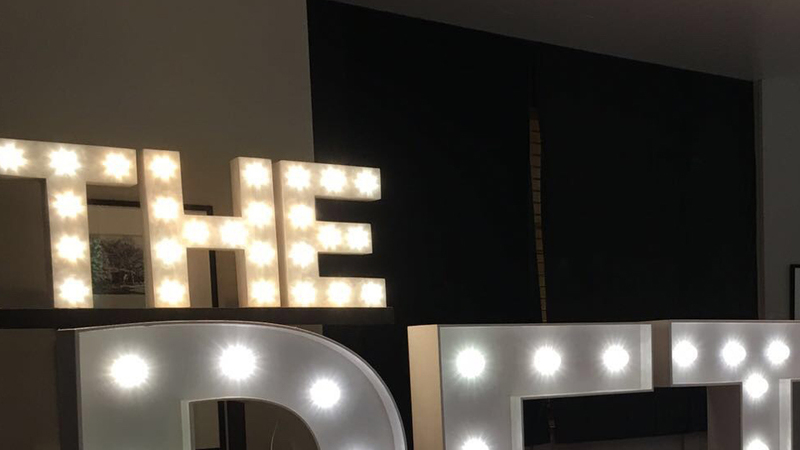 Our classic 5ft letters, with clear funfair bulbs. A white outline with a mixed hardwood fronting. 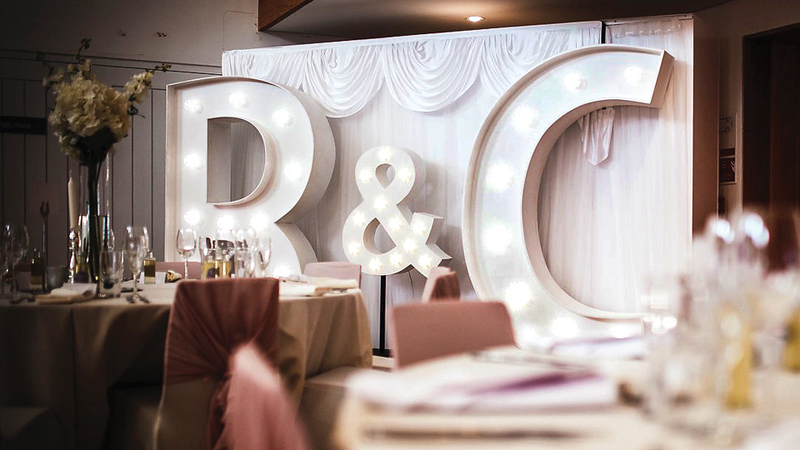 The choice of our classic white funfair bulb ampersand or our ampersand filled with beautiful white flowers. 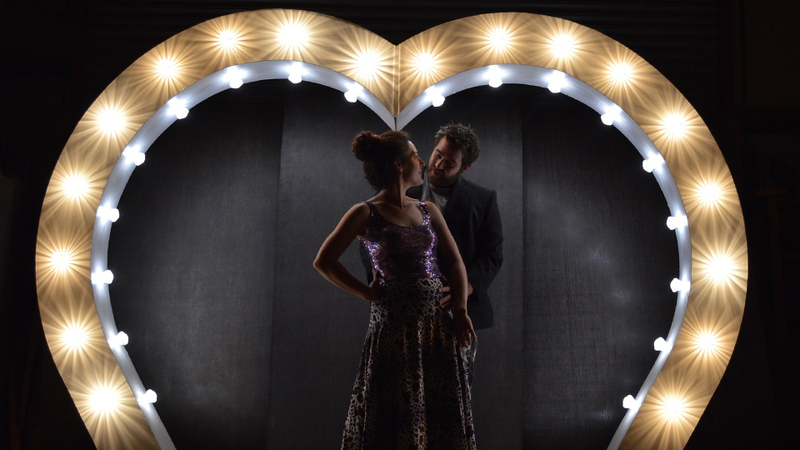 Our 8ft tall heart arch has our classic funfair bulbs and is perfect for the dancefloor. 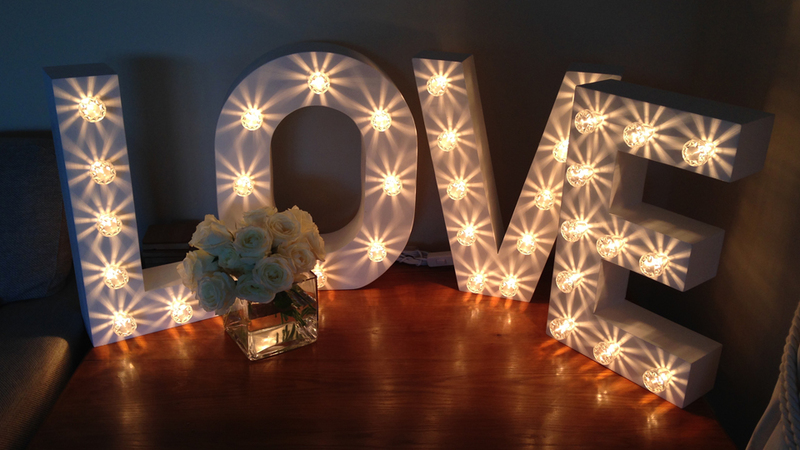 Perfect for smaller spaces. 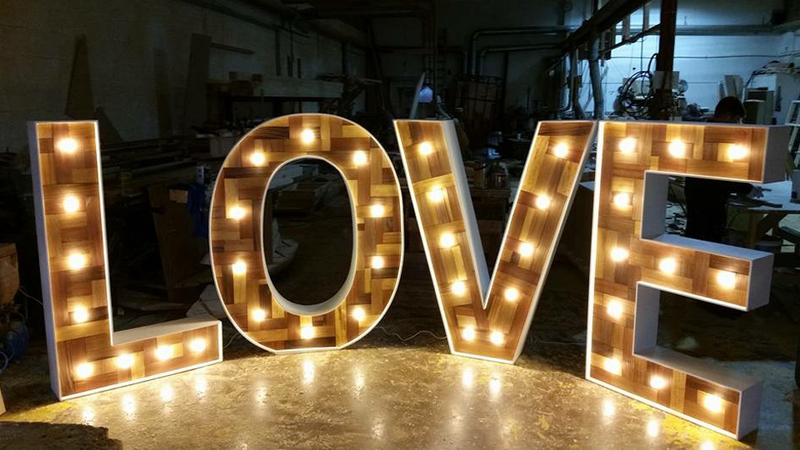 Love letters stacked together to make a perfect statement. 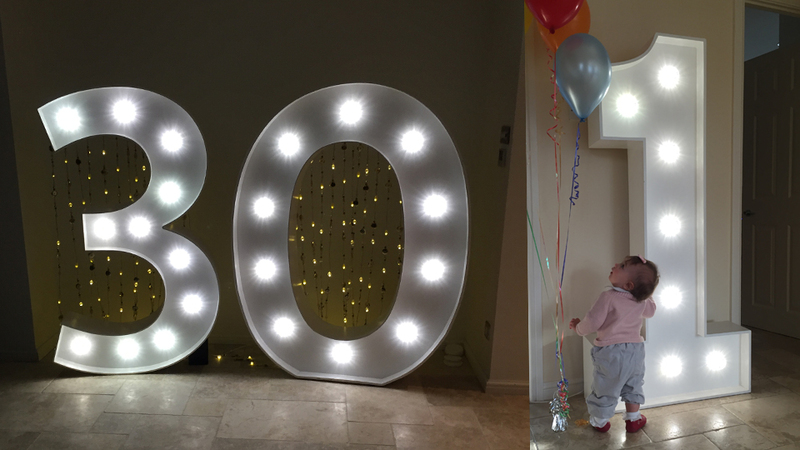 5ft numbers with our clear funfair bulbs. 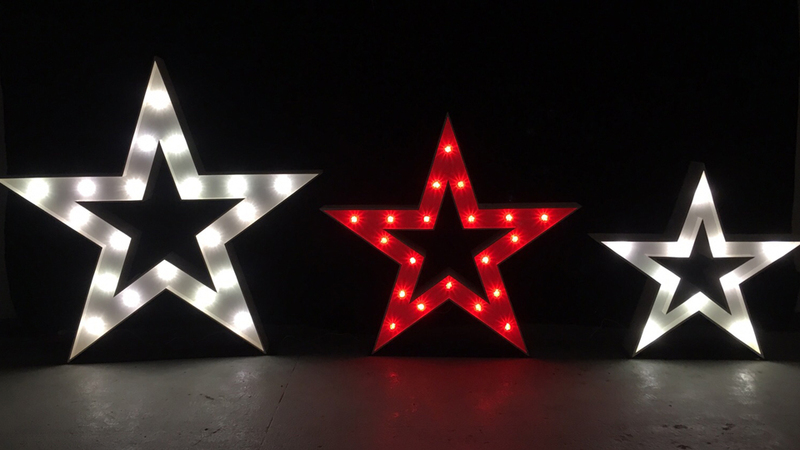 4ft, 5ft and 6ft free standing stars. 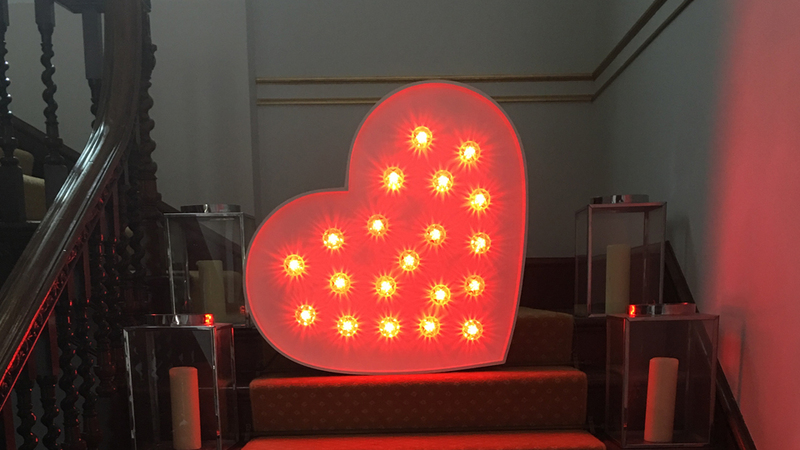 4ft Heart with the choice of red or white bulbs. 2ft tall. 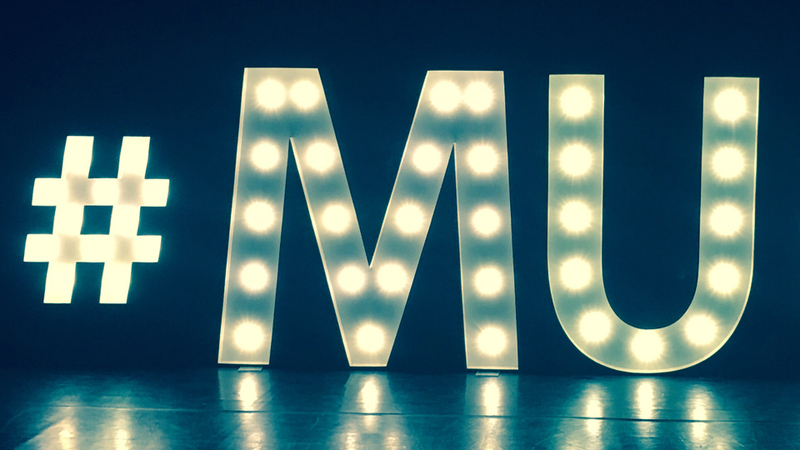 Can either be used on its own, or above our 5ft letters to announce your new surname. 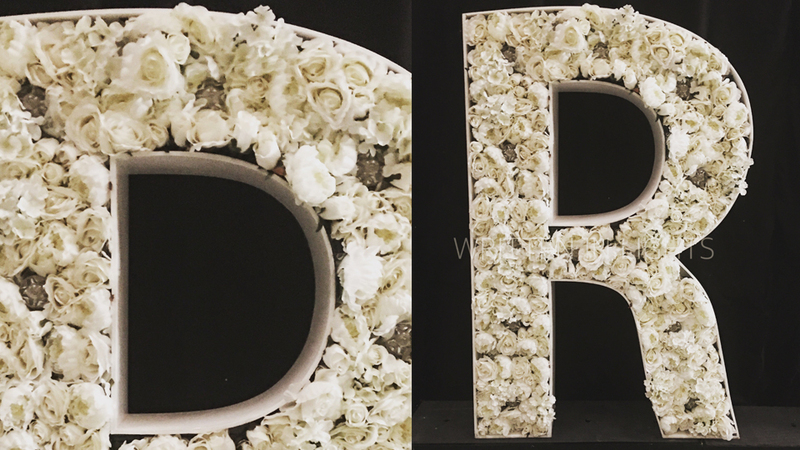 To be used above our 5ft letters to announce your new surname. 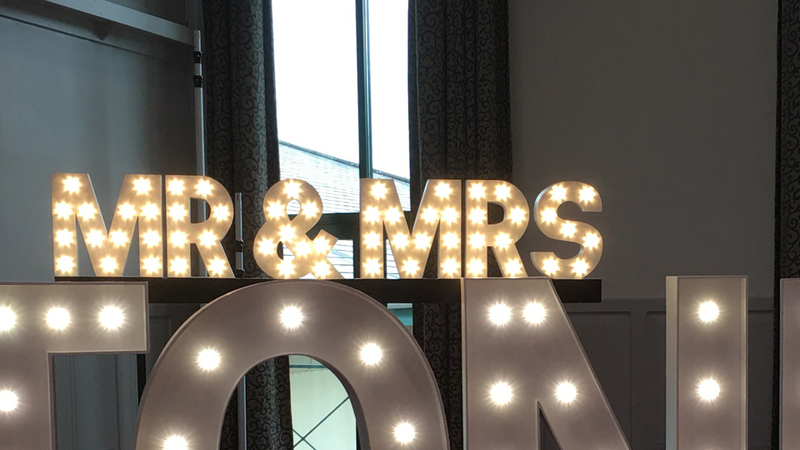 Our lit up hashtag is perfect for corporate events or to remind your wedding guests of your Hashtag for the wedding! 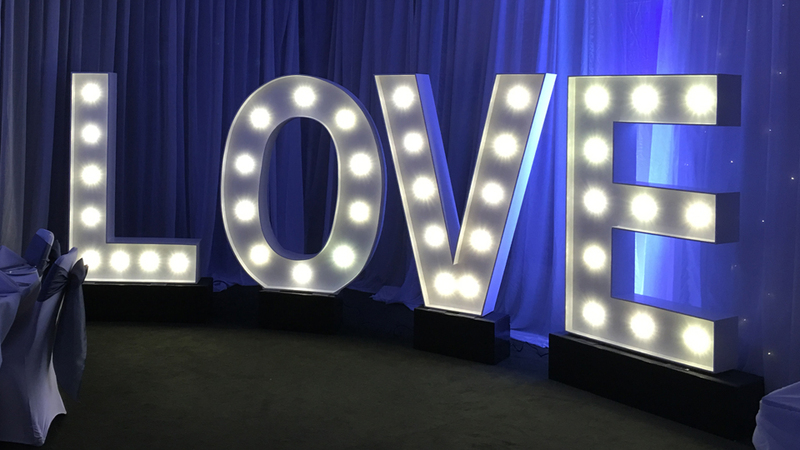 Our 2ft baby LOVE is perfect for sweet tables/cake tables.